Oxfam: World's Richest 1 Percent Control Half Of Global Wealth : The Two-Way The relief organization says the wealthiest 85 people own the same proportion as the planet's poorest 3.5 billion people. And Oxfam says it fears that growing income inequality will lead to social unrest. 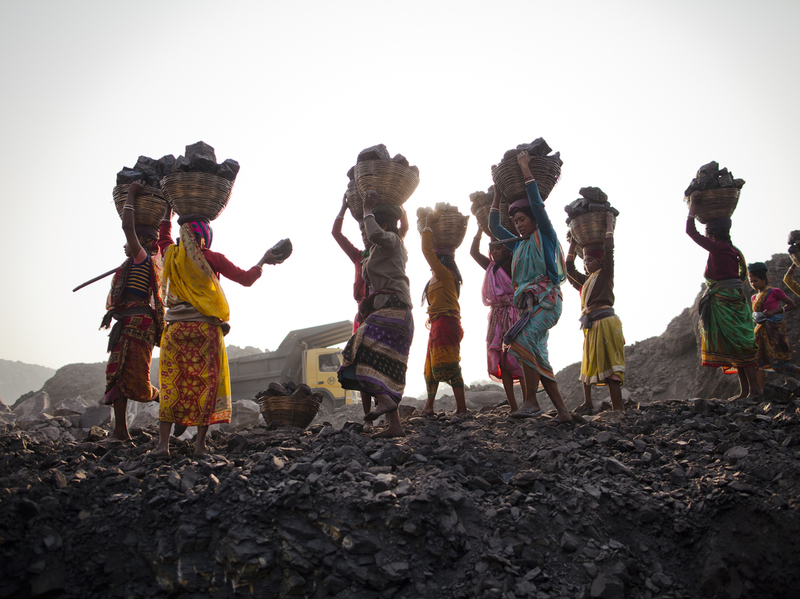 Local villagers scavenging coal illegally from an open-cast mine in a village near Jharia, India, in 2012. Just 1 percent of the world's population controls nearly half of the planet's wealth, according to a new study published by Oxfam ahead of the World Economic Forum's annual meeting. -- The world's 85 richest people own as much as the poorest 50 percent of humanity. -- 70 percent of the world's people live in a country where income inequality has increased in the past three decades. -- In the U.S., where the gap between rich and poor has grown at a faster rate than any other developed country, the top 1 percent captured 95 percent of post-recession growth (since 2009), while 90 percent of Americans became poorer. "Oxfam is concerned that, left unchecked, the effects are potentially immutable, and will lead to 'opportunity capture' — in which the lowest tax rates, the best education, and the best healthcare are claimed by the children of the rich," the relief agency writes. "This creates dynamic and mutually reinforcing cycles of advantage that are transmitted across generations." "[People] are increasingly separated by economic and political power, inevitably heightening social tensions and increasing the risk of societal breakdown," the report says.